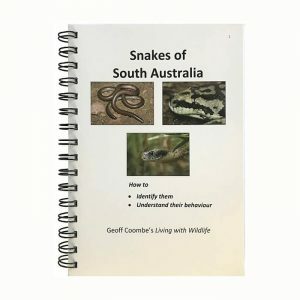 Living with Wildlife’s Geoff Coombe has presented hundreds of talks, courses, workshops and seminars and has trained several thousand people in how to handle venomous snakes, delivering training programs all over Australia as well as overseas (see Locations). Government wildlife agencies in most Australian states and territories have called on Geoff to train their personnel, as have New Zealand government authorities. 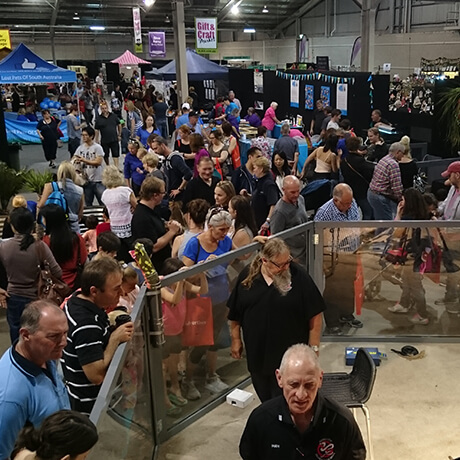 Living with Wildlife partners with Adelaide Snake Catchers to present at numerous training courses and public events each year like the Royal Adelaide Show, Adelaide Animal Expo and The World Environment Fair. For Snake Handling Training, Snake Awareness Sessions or Public Event enquiries please call 0408 105 508 or contact us via email. Living with Wildlife has delivered 537 training sessions to over 7320 people (13 Nov 2018). 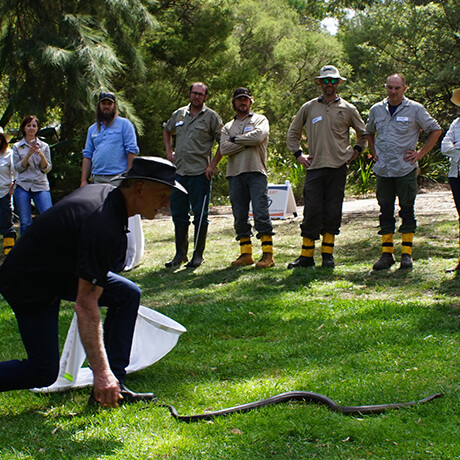 Our half and one-day Snake Awareness sessions are popular with rural communities. Living with Wildlife & Adelaide Snake Catchers put on several public displays each year. 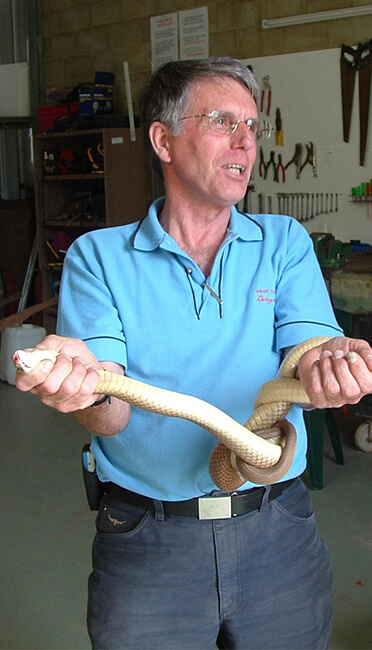 Geoff Coombe, the principal of Living with Wildlife, has been actively involved with reptiles since the mid-1960s. He has had practical experience with venomous snakes since 1971 in both field environments and captive situations. 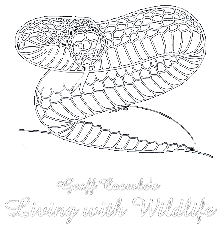 Founding committee member of South Australian Herpetology Group, established in 1971. In 1986 he co-founded Adelaide Snake Catchers with Rudy Della-Flora – believed to be the first non-profit community reptile removal & advisory service in Australia. In 1988 he was one of the prime movers in initiating the venomous snake policies adopted by the South Australian Department for Environment & Heritage (National Parks & Wildlife). At the Second World Congress of Herpetology in Adelaide (1993/4) he chaired the Wildlife Educators’ Narama: the First Australian Expo of Reptiles & Amphibians. A faculty member of Clinical Toxinology Short Courses since their inception in 1997. "One of the best run and most interesting courses I have done in 25 years of NPWS employment." "An excellent course which developed a high level of confidence in dealing with snakes physically, far exceeded my expectations. Highly recommended." 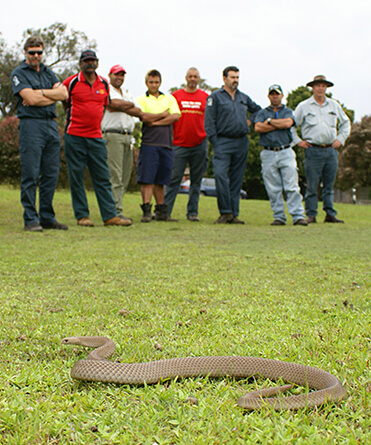 "The improved understanding of potential snake behaviour has instilled team confidence. One member of the team believes that his life-time fear of snakes has been put in perspective as respect rather than fear." 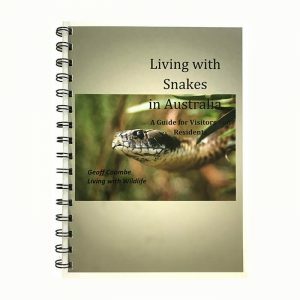 "After attending one of your courses three years ago at Jervis Bay National Park I realized that you had the ability to change peoples' attitudes and beliefs when it comes to fear of snakes. I was heartened to see that attitudes changed to the point where the participants actually felt an empathy for snakes." 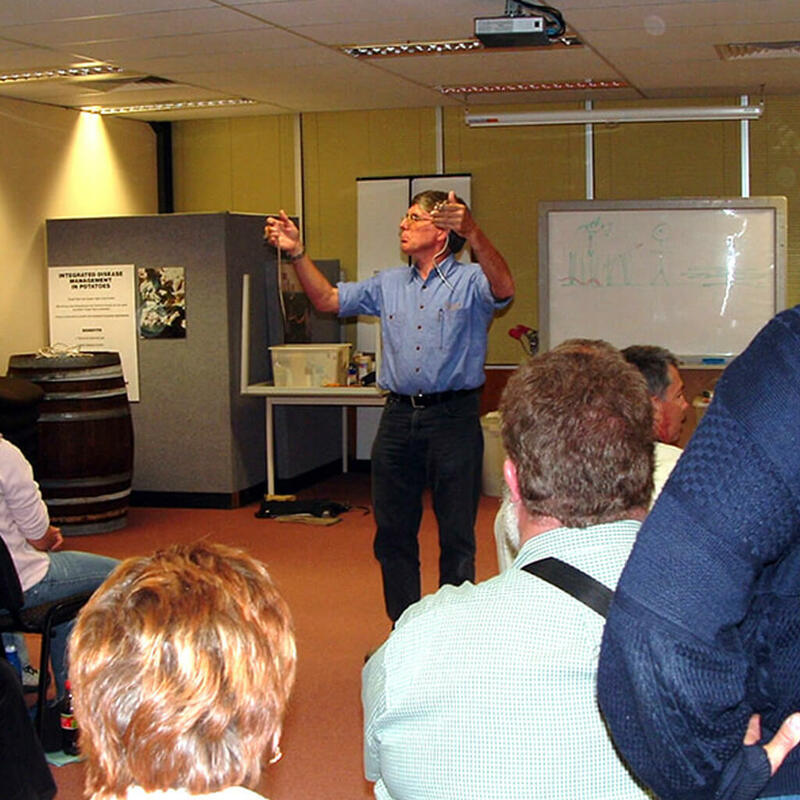 "It was highly educational, insightful and enlightening - would be good for all Australians. Your approach to overcoming people's anxieties worked very well." "I now have a new respect for snakes. Thank you for building my confidence to work with venomous snakes when required in my work." "Thoroughly enjoyed the course, the pace and content of the course was pitched just right. Breaking down the misconceptions surrounding snakes was a vital part for me. Would not change a thing." "I attended this course with a great fear of snakes. While I still fear them I have a lot better understanding of their ways and habits and a lot more respect. An excellent course." "Initially I thought that 3 days would be too long but in reality it is possibly not long enough to cover other aspects that interests me - such as advanced techniques of restraint." "The end result was a course that provided wonderful material that will be extremely useful in my job - allowing me to perform my duties with a greater awareness and with confidence and safety". "I particularly enjoyed the challenging aspects to the course. 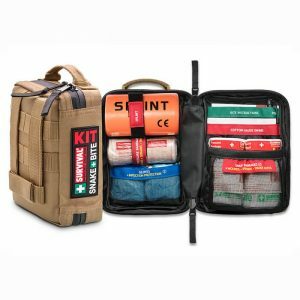 Great introduction to handling and would like to attend a more comprehensive course. Big confidence builder". "Snake awareness seminar was an excellent knowledge sharing about the snakes found around the world as well as Pakistan". 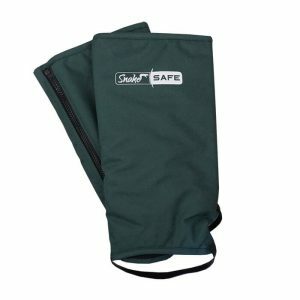 "The presenters always had our safety in mind. This was the most amazing course I have ever attended. I have a greater respect for snakes. The course was also fantastic for my personal development as I successfully achieved things that initially scared me".